For more information on pulpal regeneration, click here. nice blog here. 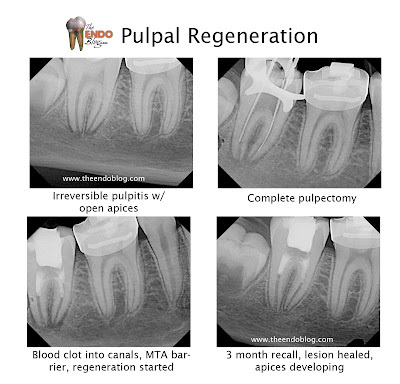 can you share more information about pulpal regeneration. Thank you for your sharing, and I enjoy reaading your post very much. I have three questions:1. Should we avoid filing in these cases? 2.Did you use any medication(antibiotics..) in necrotic cases? 3.When blood clot presents, how do you applicate the MTA and why use collagen plug? Thanks again. Minimal filing recommended. 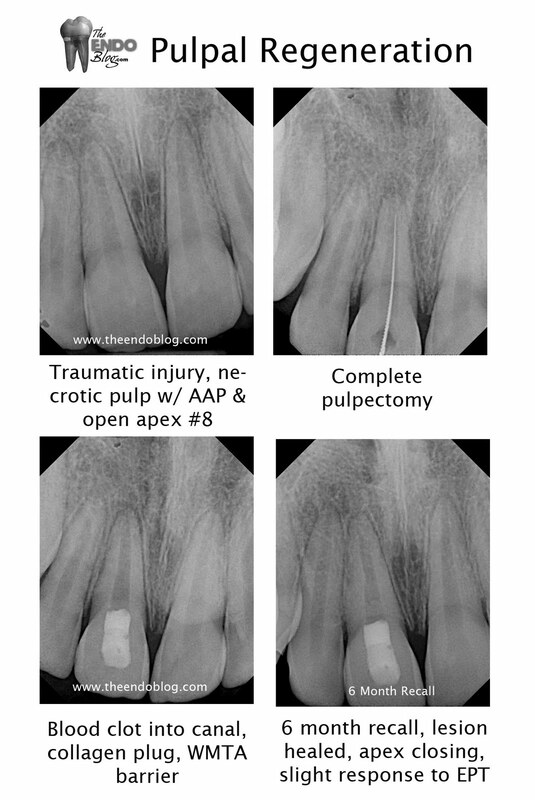 We don't want to remove dentin from the already fragile apical root. Triple antibiotic paste is recommended. However, there are reports of discoloration. I have had success without it as well. 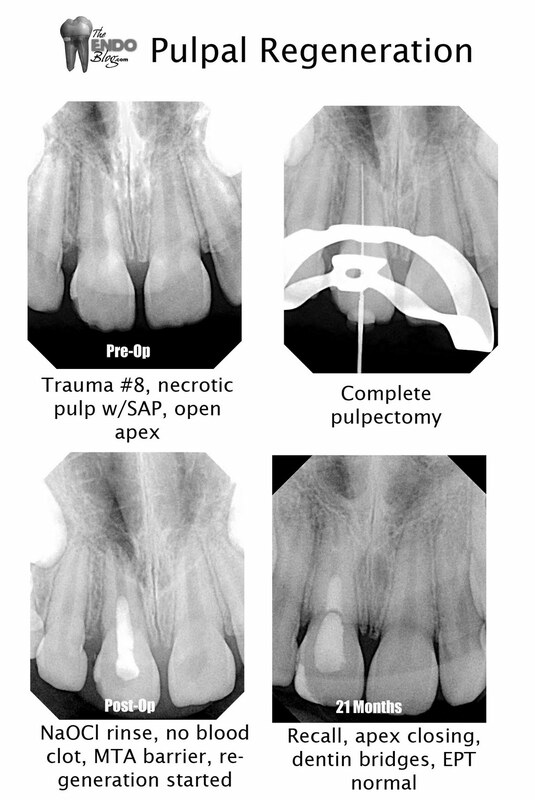 I have tried using a collagen plug to prevent the MTA from being pushed too far apically. I don't think it is necessary, and if you are used to using MTA, it can be applied directly agains the blood clot. What film system do you use? Mine are 1/2 as clear as those. I'm very impressed with the resolution. Just curious. Thanks!! Thanks for your comments. I didn't believe the positive EPT tests at first either. 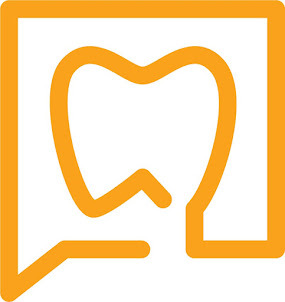 That is why I repeated them multiple times on multiple cases. Fact is, we are not completely sure of the nature of the regenerative tissue. 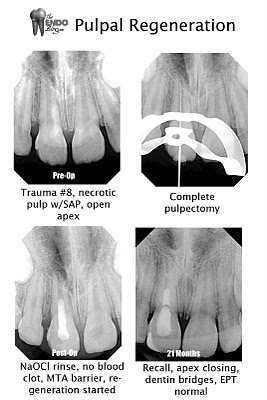 However, I have seen in some cases, the tooth respond normally to EPT.